The following items are the key recommendations. 1. The Mission recommends that the F010 option (Surface route to the south and avoiding the WHS (World Heritage Site)) be further explored as an alternative for further studies as it would have a significantly lesser impact on the OUV (Outstanding Universal Value) of the WH (World Heritage) property than the tunnel options currently under consideration. if a longer tunnel is considered, the SP (State Party - The UK Government) should undertake a comprehensive Heritage Impact Assessment, which addresses all attributes of OUV, including archaeological and landscape integrity, visibility and noise factors, and incorporating a landscape impact study focusing on the inter-visibility and visual envelopes (viewshed) of the Western portal and highway locations to determine the necessary length of the tunnel that will not harm the OUV of the property and its setting. 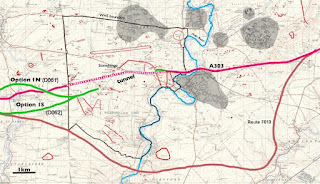 the location of the Eastern portal which is to be repositioned, on-line on the current path of the A303 road but to the east of the important prehistoric feature known as the 'Avenue', linking the Stonehenge monument to the river Avon, be further refined in order to ensure that potential impacts on OUV are avoided. A location closer to the Countess roundabout should be considered, especially with regards to approach routes and infrastructure during construction, (bearing in mind other archaeological features in the vicinity, including the Mesolithic Blick Mead and the Iron Age Vespasian’s Camp). 3. The Mission recommends that the already constituted Heritage Monitoring Advisory Group, be immediately completed and strengthened with a fully operational "Scientific Committee”. to ensure the lasting conservation of the site. 5. The Mission recommends that the SP (State Party - The UK Government) and bodies involved agree to set up an open forum, gathering stakeholders, local communities, civil society representatives, citizens and all interested parties, as a place to engage into a constructive dialogue driven by the overarching strategy of the Management Plan, i.e. “achieving the correct balance between conservation, access, the interest of the local community and the sustainable use of the Site”. 6. The Mission recommends that the project programme and the expectations of all major participants should be adjusted to align with the World Heritage Committee timeframe and process, through careful attention to the ‘triggers’ which instigate statutory timeframes and deadlines. All of the major monuments owned & cared for by the National Trust in both the Stonehenge and Avebury parts of the WH property are accessible for free and are permissive open access land, open 24 hours a day, 7 days a week, all year round. However, there an urgent need for better coordination between the two heritage bodies (EHT and NT) responsible for the management of the WH property, which appear to be behaving here somewhat like competitors for money-spending customers, rather than as partners in the custodianship and enhancement of what is a single WH property with a single overarching management plan. Instead of ignoring each component, or reluctantly parting with information ("we have run out of brochures and they have not yet restocked us", "sorry no map, but you'll need to drive northwards about 40 minutes" – paraphrases of answers given to the Mission expert at the Stonehenge information desk), it should be expected of these heritage agencies (and especially EHT, which oversees the visitor centre) to consider both components as if they were 'their own', with possibilities and encouragement of tie-in visits. 3) to ensure the lasting conservation of the site. 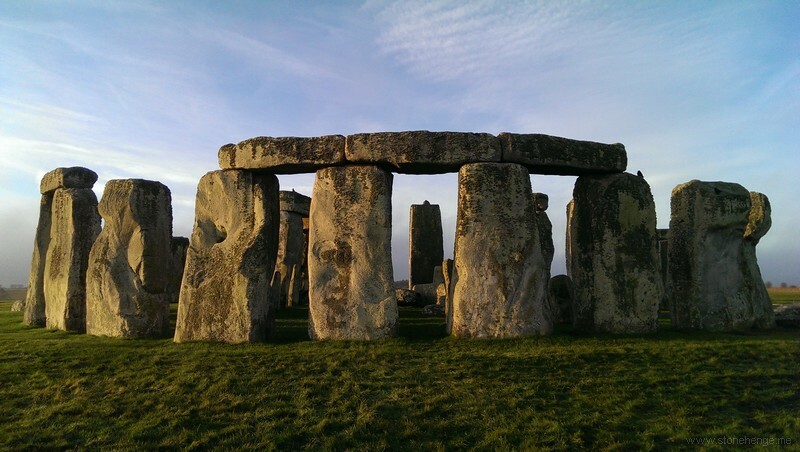 49 The Mission further recommends that, in the same spirit, stakeholders meetings and public consultation about the Stonehenge scheme should be extended to Avebury and north of Wiltshire areas. The F010 option should be explored further as an alternative (even if it will take a longer route and a longer time frame) for further studies; and it costs far less. in view of the impact of the western tunnel portal on the WH property’s OUV, the two options D061 and D062 are effectively the same solution. D061-062 would cause considerable damage to the OUV of the WH property, through adverse effects of the Western Portal and approach road on the archaeological remains, on their landscape attributes, and on visibility and the wider setting. that the re-positioning of the eastern tunnel portal to the east of the 'Avenue', but still within the WH property, is an improvement, but is not an ideal solution; further refinements in the position are needed to ensure that impacts on OUV are avoided or mitigated. A location closer to the Countess roundabout should be considered, (bearing in mind other archaeological features in the vicinity, including the Mesolithic Blick Mead and the Iron Age Vespasian’s Camp). should a tunnel option remain under consideration, an extension of the tunnel should be considered so that the Western Portal should be located outside the WH 40 property to avoid its negative impacts on the OUV of the property, its landscape, monuments and archeological richness. 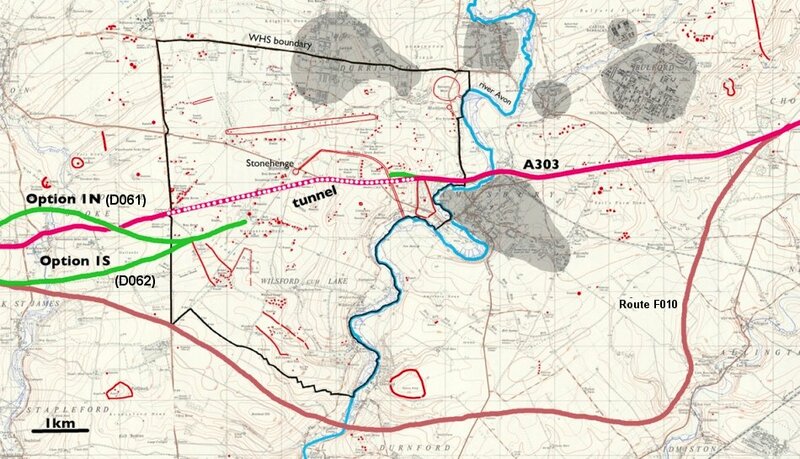 Route option D061: Approximately 2.9km length tunnel with route running north of Winterbourne Stoke, eastern tunnel portal located east of The Avenue and the western tunnel portal located west of Normanton Gorse to minimise visual impact to and from Stonehenge. Route Option D062: Approximately 2.9km length tunnel with route running south of Winterbourne Stoke, eastern tunnel portal located east of The Avenue and the western tunnel portal located west of Normanton Gorse to minimise visual impact to and from Stonehenge. Route option F010: Surface route to the south and avoiding the WHS.